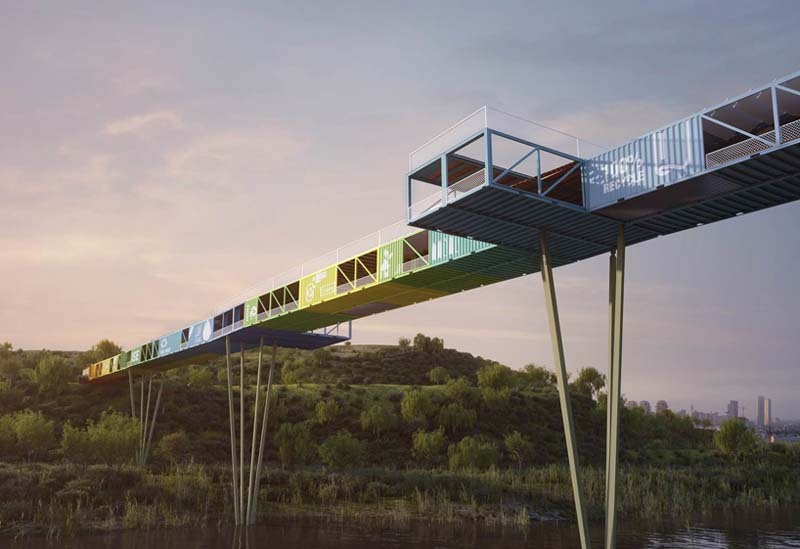 We’ve seen plenty of structures, from museums to apartment buildings, houses, shops and more made by repurposing shipping containers, but a pedestrian bridge? 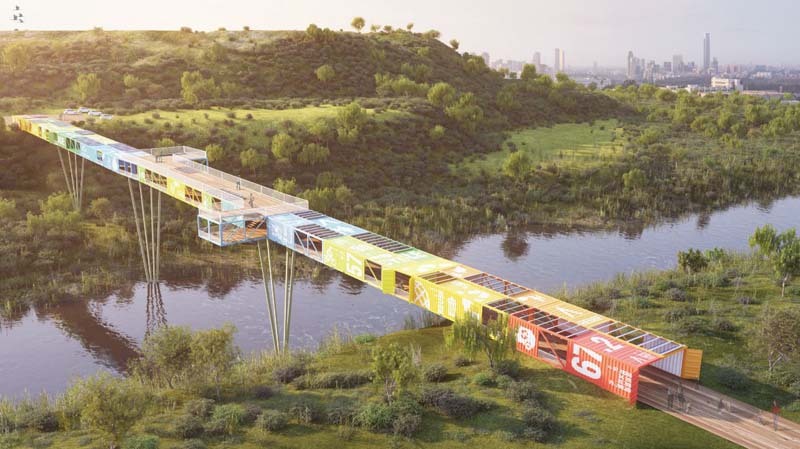 That’s just what Israeli studio Yoav Messer Architects proposed with their ECOntainer design for the Ariel Sharon Park, a nature preserve that supports the environment and sustainability in the outskirts of Tel Aviv. Sounds like a perfect fit, consequently construction on the bridge will start shortly. 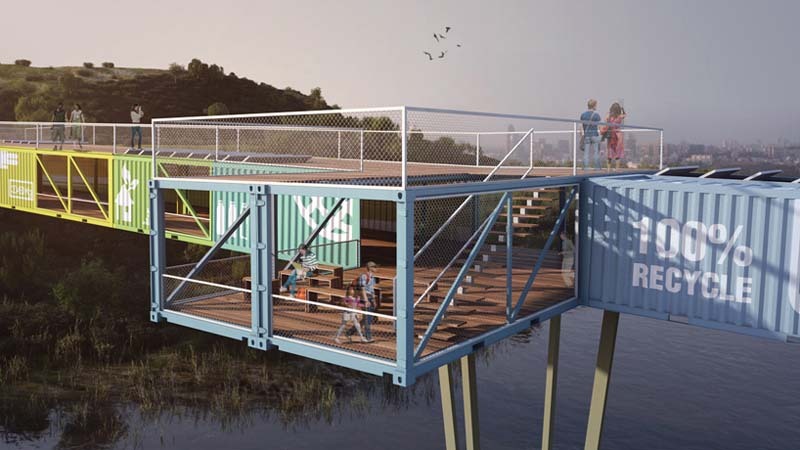 The design includes a cantilevered lookout point and both covered and uncovered sections that allow for air flow and shading, plus a roof boardwalk.